Osmania University , Hyderabad, Andhra Pradesh Issued Notification for Post Graduate Common Entrance Test (OU PGCET 2014) 2014. OU PGCET for Admission in to Various PG Courses in the Osmania University, Palamuru University, Nalgonda Univeristy(MG University), Telangana Univesity (NZB). Last Year around 60 thousand Candidates are attend this exams. Highest Candidates apply for M.Sc Chemisty. 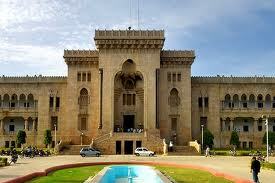 We are Provide Osmania University PG CET Notification, Syllabus, Online Application Form, Hall Tickets and Results in this site ww.manabadi.net.in and www.osmania.ac.in. Candidates Follow this site for PGCET Updates. M.A. in AIHCA, Arabic, Economics, English, Hindi, History, Islamic Studies, Kannada, Linguistics, Marathi, Persian, Philosophy, Political Science, Psychology, Public Administration, Sanskrit, Sociology, Tamil, Telugu, Theatre Arts and Urdu; M.Sc. in Applied Geochemistry, Astronomy, Astrophysics, Biochemistry, Biotechnology, Botany, Chemistry, Computer Science, Electronics, Environmental Science, Forensic Science, Genetics, Geography, Geoinformatics, Geology, Geophysics, Mathematics, Microbiology, Nutrition & Dietetics, Physics, Statistics and Zoology; Diploma Courses in Digital Information Management, Applied Linguistics, Archival Science and Manuscriptology, Child Psychology, Functional Hindi and Translation, Taxation, Geographical Cartography, Management of International Business, Museology, Urdu Paleography, Psychological Counseling and Advanced PG Diploma in Bio-Statistics. M.A. in English, Hindi, Telugu Studies, Urdu, Mass Communication, M.S.W., M.Com. (e-Commerce). M.Sc. in Biotechnology, Botany, Organic Chemistry, Geoinformatics, Physics with Electronics and Applied Statistics. M.A. in English, Political Science; M.S.W. , M.Com., M.Sc. in Chemistry, Mathematics and Microbiology. Director, Directorate of Admissions, (New Building).